Bethesda's The Elder Scrolls IV: Oblivion is chock-full of secrets and codes you'll want to pay attention to, especially if you're someone who ends up playing a whole lot. If you need more Soul Gems, there are actually special codes you can input to get a whole lot more of them. This can be done with a series of cheat console commands that we'll go into later on in the article. Oblivion is basically a game that comes with a series of tweaks so it's practically asking and begging for you to alter the game however you choose. In order to change these things you'll want to have previously read our article on how to implement cheat commands via console. It's a very simple process. But before you get started make sure you understand what it is you're changing and what it is you're looking for so as not to mess things up for yourself! Note: this is a reference page for the main Oblivion PC Cheats page. A Soul Gem is an item in The Elder Scrolls IV: Oblivion that actually "holds" the soul of a creature, and you can use them to make new enchantments or even recharge the magical weapons and equipment you already have. You can buy them in the game via regular means from merchants, and you can also take them from necromancers and mages that you kill, but it'll be a lot easier for you to upgrade everything if you just get them all from using cheat codes. 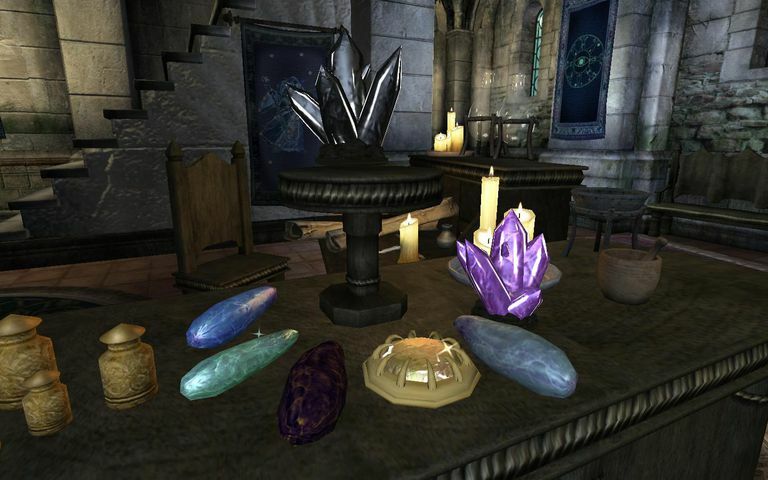 There are a few different gems that are outside of these classifications, like Black Soul Gems, the Colossal Black Soul Gem, and other unique soul gems like those found in the Leyawiin Mages Guild and those you can obtain via cheat codes. This should make things a little easier for you, especially if you want to spend more time leveling your main character instead of spending time gathering soul gems. Listed here and on the following pages are the give item soul gems codes for use with the player.additem cheat code. See the rest of the Oblivion codes (over 14 categories of them) here: Oblivion PC Item Codes . Or, look at the Oblivion PC Cheats , Hints or Walkthrough pages.